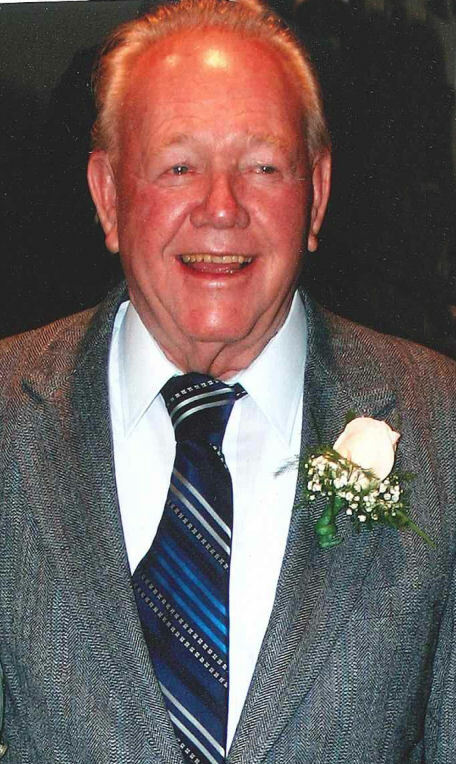 David H. Lewis Jr., (RoHo) passed away Friday, January 11 around 1:30pm, at his home with his wife Janice, daughter Teresa Bruns and her husband Randy Bruns by his side. Let us not forget the Chaplin’s, Fire and Rescue, Christian County Deputies- for the love they showed when treating David. David was 87 and in perfect health until he was diagnosed with a lung disease about a year ago. He was a man’s-man. Born and raised in San Diego, California. Lived between there and Prescott Arizona, where ranched with his Uncle Henry. Married Pat (Osborne) in 1952 in San Diego. He attended the Los Angeles County Sheriff’s Academy; trained in the jail but found it too complacent with prisoners; he severed the relationship. He found the job of his dreams with Greyhound Bus Lines. Around 1968, with son and daughter in tow, moved to Ava Missouri. David transferred with Greyhound from LA to Springfield. The company he fell in love with- the OLD Greyhound, before the Union Break UP. He and Pat opened “Pat’s General Store” on Hwy. 14, east of Ava. He farmed while he was still with Greyhound. He had a great hay hauling venture in the works. He processed and sold limestone to Corning Ware off his farm. He raised cattle and an occasional pig (Barbara) to drive Pat crazy. He realized you can’t start a small fire to clear off the all -new- fence lines he had put in- without it creating its own heat and taking off on you. He also didn’t realize how many people, friends and neighbors that he would come to the aid- Glad to have moved to Missouri. He loved anything to do with mechanics, – hot rods, motorcycles. He became a master mechanic -Anything that rolled on wheels. He was constantly working on someone’s car, truck, and tractor. David loved to paint with a can of red paint – everything he owned that couldn’t walk or run away- was RED. He and Pat moved to Ozark in 1968.He was an owner-operator with 3 trucks at one point, and due to family health issues, sold the small fleet. He and Pat started a business, Christian County Closing Company in Nixa. He started a bush hogging business. They sold the Closing Company and both retired. After Pat’s passing, he found and married the love of his life, Janice on Dec.2, 2006. It seemed life was just beginning for the two of them. They lived 12 years in happiness; until his death last week. He was preceded in death by his wife Pat, son Paul, and infant son David III. His Momma, Maybella and Daddy – David Lewis Sr. He is survived by his wife, Janice, daughter Teresa Bruns and her husband Randy Bruns of Ozark. Janice’s daughters Kathy and (husband) Joe Grimes of Reeds Spring, Becky her (husband) Tom Bonner of Springfield. 3 grandsons he thought of as his own; Joseph, Jacob Grimes; both from Reeds Spring and Matthew Bonner, of Springfield. His cousin Connie Kilgore from Ava, and so, so many friends he calls brothers and sisters. He was a quiet loner. He was an all- American dirt and asphalt cowboy. He was a jokester, and would do anything in the world for you. He was a man of his word and expected the same from you. He was a lover of our country, the constitution as it was written- and what our flags- Confederate and American stand for. He “never forgot”…… Neither will we….Good bye Dad.